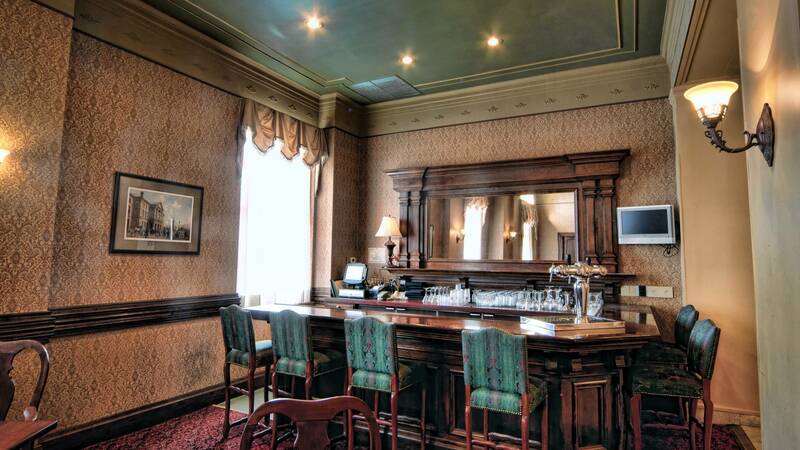 Built in 1931, Rodd Charlottetown is the epitome of historic elegance, with its marble floored lobby and vaulted ceilings. Guestrooms are tastefully decorated with replica period furnishings and linens, but combine old fashioned charm with contemporary amenities to ensure your stay is comfortable and luxurious. 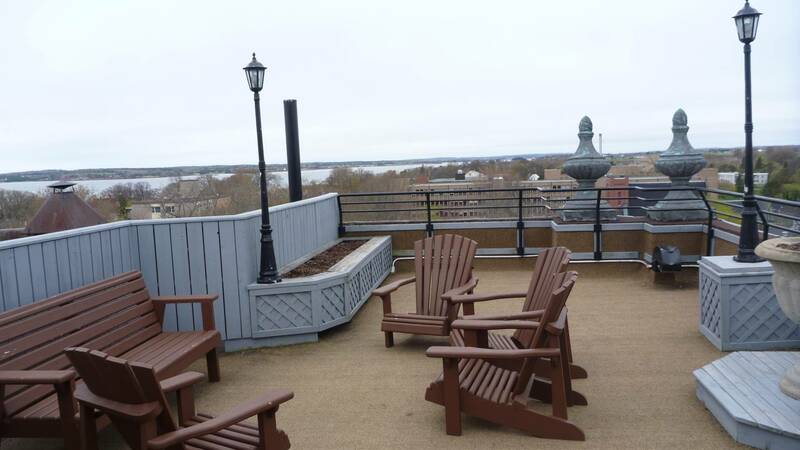 Take advantage of the indoor pool, fitness room, sauna and whirlpool and enjoy the roof-top garden with views over Charlottetown Harbour. 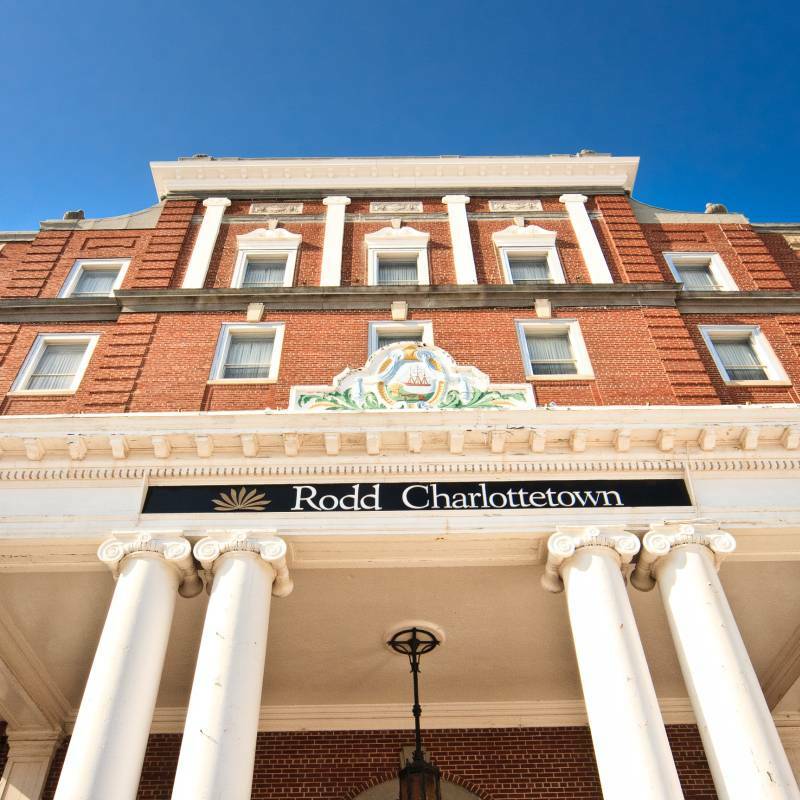 Situated downtown, Rodd Charlottetown is just minutes away on foot from the heart of the city. All rooms have flat screen TV, coffee maker, mini fridge, hairdryer, WiFi, iron and ironing board. 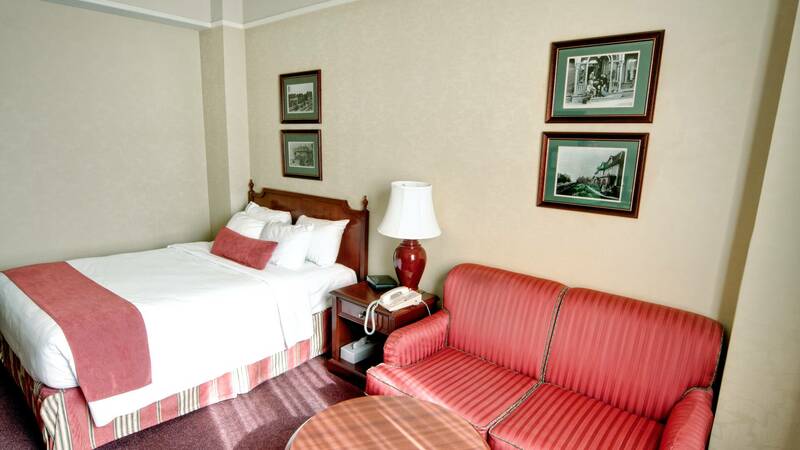 Classic: One Queen bed, or two doubles, single sofa bed in Queen rooms. Accessible Classic: One Queen bed, wider doorways, roll in shower, panic button. 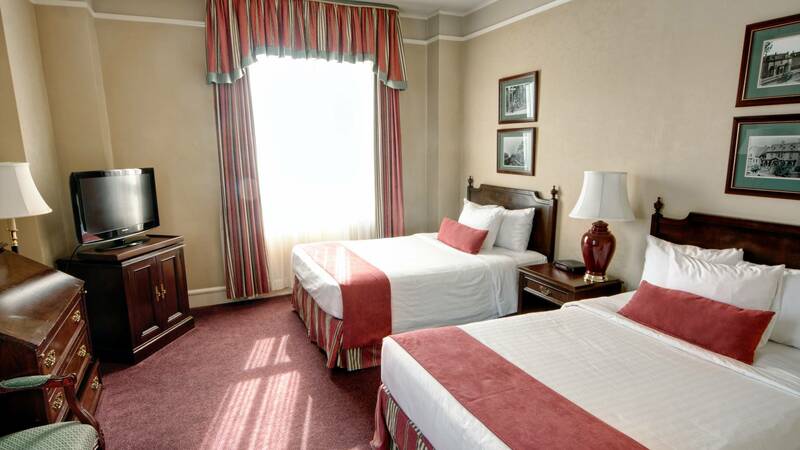 Executive: One Queen bed, or two double beds, single sofa bed in Queen rooms, bathrobes, located on 4th floor. Executive Suite: One King bed, or two double beds in separate room, living space with double sofa bed, TV in both living room and bedroom, large bathroom with 6′ soaker tub, bathrobes. 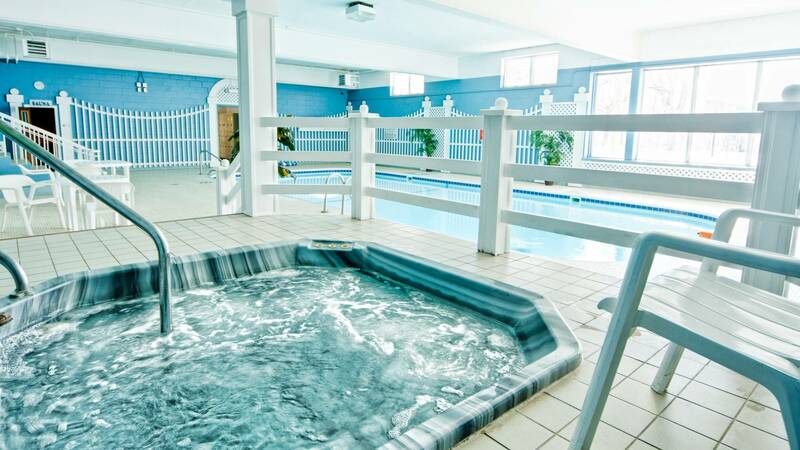 Honeymoon Suite: One large room with one King bed, double sofa bed, full sized corner jacuzzi, fireplace, full bathroom with shower, bathrobes. 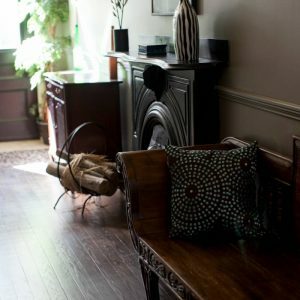 Rodd Charlottetown is a timeless and stylish base from which to explore Prince Edward Island. Feel like you are stepping back in time, without compromising on any of the modern details that you expect from a luxury hotel.